In 2003 - alone, depressed, delusional, and suicidal - Gabe was admitted to a psychiatric hospital. A bipolar diagnosis followed, along with anxiety disorders. Both he and his family had to mourn the life he lost, or the one he thought he had. Gabe has since reinvented himself as a mental health advocate, speaker, and writer. In addition to being a professional speaker, he is the Director of Development for The P.E.E.R Center - a provider agency in Columbus, Ohio, serving people with mental illness, addiction and trauma. Gabe credits NAMI, the National Alliance of Mental Illness, with helping him find his way after receiving a life-altering diagnosis. His parents, who live in Memphis, attended groups and took a family-to-family course. They also recommended he contact his local NAMI affiliate. NAMI offers a wide range of support, education and advocacy services to those living with mental illness. One of these is NAMI Connection, a support group that Gabe led for three years. Recovery, of course, is nonlinear, "always moving up and down," he says. Gabe's lowest points included waking up in a locked psychiatric ward, getting fired from his job at a Fortune 100 company due to his illness, being judged by society, and having others attribute everything he did to his illness. At his heaviest, Gabe weighed 550 pounds. Realizing he couldn't simply try to lose the weight, he engaged in therapy, attended support groups, and consulted nutritionists. 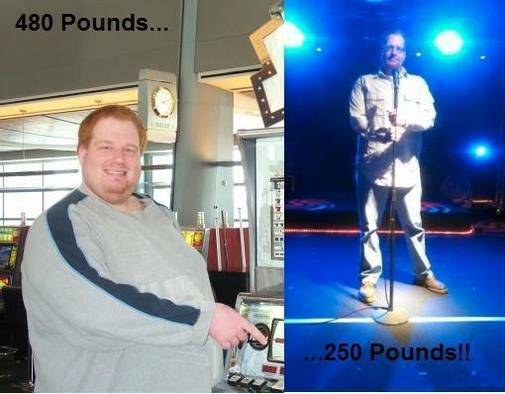 A year later, he had weight loss surgery and dropped to 220 pounds. Marriage and middle age have taken their toll, but after more than 10 years, his weight is holding steady at 265. As well as leading a NAMI Connections group, Gabe has been involved in the organization's Peer-to-Peer program, helped plan NAMIWalks, done public speaking, and served on the Board of Directors for NAMI Ohio. In addition, he lends his time to other nonprofits, such as the Ohio Empowerment Coalition and Mental Health America. Our illnesses may be the same but our experiences will always be different. This is just life. My sister and I went to the same school, but just because the school was the same doesn't mean we have the same memories. People living with mental illness are people first, and we're all different. We have to stop treating all people with mental illness exactly the same.